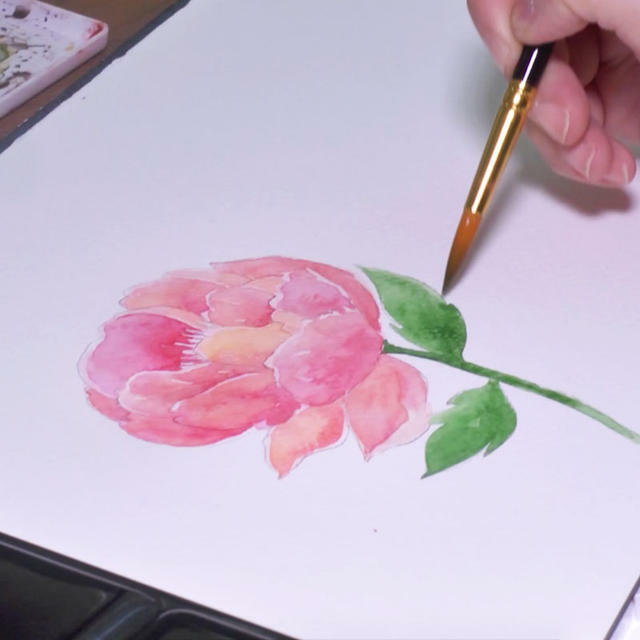 Once you've mastered the basics of watercolor, try out this lesson! 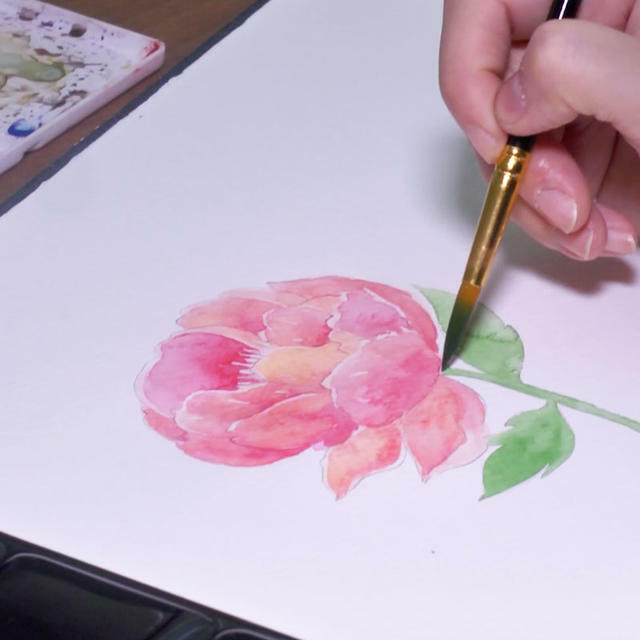 Paint a pink peony flower using watercolor. you will paint a pink peony. 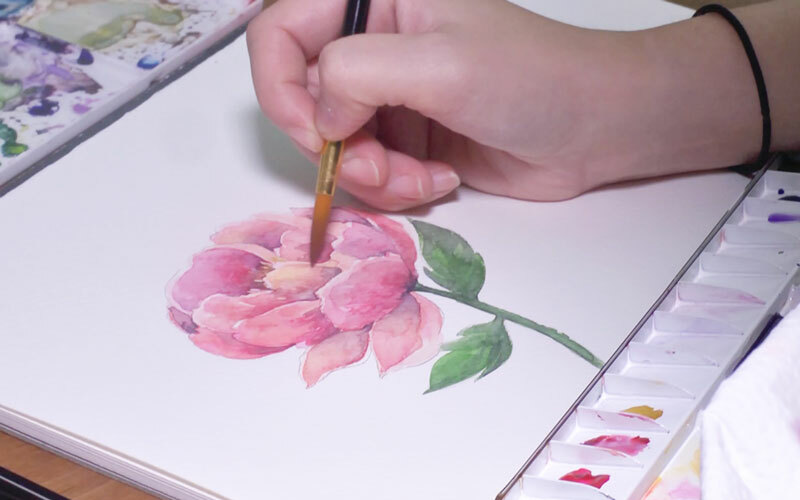 Peony, one of the most popular flowers, is nice and big to paint for beginners in watercolor. This lesson is perfect for those people who have just mastered the basics. Delicateness and a natural atmosphere are the features of the watercolor paintings that Carla, the instructor, paints. She also creates a calm mood with moderate antiqueness. Learn how to paint a peony with that kind of atmosphere. and many more techniques essential for quality artwork. As you watch the lesson, pay attention to what kind of color that Carla uses and where she puts it to create the mood. Flower illustrations painted with watercolor can be used in infinite ways. white papers bloom in an instant. You can also paint them on your notebooks or plain paper bags to make your normal items your own. 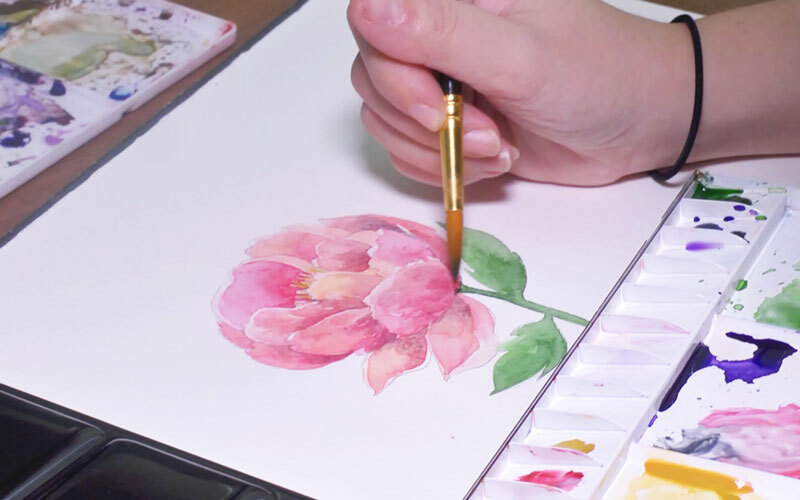 Watch how Carla moves the brush and uses the colors and master how to paint a pink peony. Once you've mastered how to paint it, then try painting with different colors! By just changing the tone of the pink, the mood of the work changes. Enjoy how the impression changes depending on the darkness of the color! If you are a beginner in watercolor, start with the basic lesson. "Watercolor Introduction Materials and Basic Brush Techniques" features the tools that Carla usually uses and the basic techniques needed for watercolor.